The last 25 years have seen tremendous advances in the study of psychological processes in reading. Our growing body of knowledge on the reading process and reading acquisition has applications to such important problems as the prevention of reading difficulties and the identification of effective instructional practices. 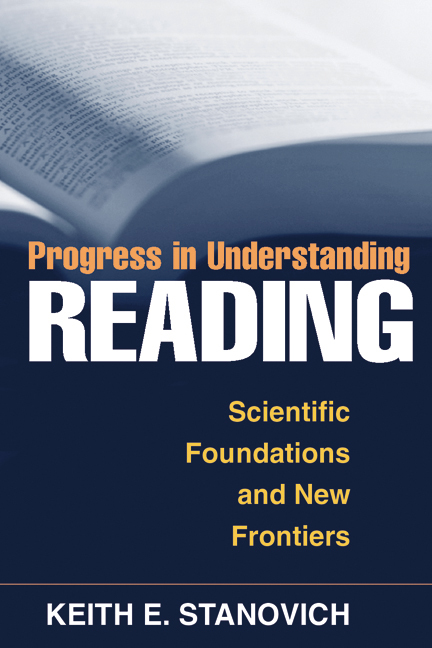 This volume summarizes the gains that have been made in key areas of reading research and provides authoritative insights on current controversies and debates. From one of the most accomplished and widely cited scholars in the field, the volume is divided into seven parts. Each part begins with a new introductory chapter presenting up-to-date findings on the topic at hand, followed by one or more classic papers from the author's exemplary research program. Significant issues covered include phonological processes and context effects in reading, the "reading wars" and how they should be resolved, the meaning of the term "dyslexia," and the cognitive effects and benefits of reading.